In the time period of 2007-2008, two journalists – Trevor Loudon, a blogger from New Zealand, and America's Survival President Cliff Kincaid – tried to interest the public and the media in what they considered the story of their lifetimes. It was how a first-term, largely unknown Senator from Illinois was a covert communist with backing from Russia who was poised to win the presidency of the United States. But the "fake news media" were not interested in the facts about then-Senator Obama, or the security risk he posed that would polarize and destabilize a nation – and they covered up the story of Obama's communist mentor, suspected Soviet espionage agent Frank Marshall Davis. Here, for the first time in print, is how Loudon and Kincaid unraveled the story of America's first Marxist President. Kincaid says, "The smoking gun evidence of Barack Hussein Obama's deep personal relationship with suspected Soviet espionage agent and Communist Party member Frank Marshall Davis is the real Russia-gate scandal." 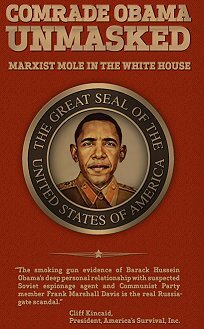 The book Comrade Obama Unmasked: Marxist Mole in the White House is available through Amazon.com. It's the inside story of how Barack Hussein Obama's Marxist revolution came to America. But the story of Obama's Marxist revolution – the "fundamental transformation" of the United States – does not end there. Kincaid, Loudon, and their co-authors, including a former Intelligence Community insider, also examine Obama's ongoing effort to organize "resistance" on a national and global level to President Donald J. Trump. This important book looks at Obama's financial master George Soros, Obama's Catholic training and links to the Vatican and Colombian narco-terrorists, and even how the Obama Administration has created a marijuana counter-culture within U.S. borders. One explosive chapter looks at Obama's inspiration, South African President Nelson Mandela, who was exposed as a secret member of the South African Communist Party after his death. The book examines Obama's relationship with the international communist network. America's intelligence community, Kincaid argues in the book, must be retrained in the art of detecting subversion and preventing communist-inspired and radical Islamist violence. He says they failed to warn America in 2008 that Obama was a Marxist who couldn't pass a basic background security check. The contributors are Trevor Loudon, Cliff Kincaid, Michael Hichborn, Alex Newman, Joel Gilbert, Arne Steinberg, Martin Arostegui, James Simpson, and a former Intelligence Community insider whose true identity shall remain anonymous. A video with Kincaid and Newman is available on America's Survival's YouTube and Roku channels. Trevor Loudon's foreword to the book says, "How a covert communist was able to gain the presidency of the United States of America, hiding his true nature from more than 300 million Americans, will occupy scholars for years. This valuable book will give context and structure to that debate." 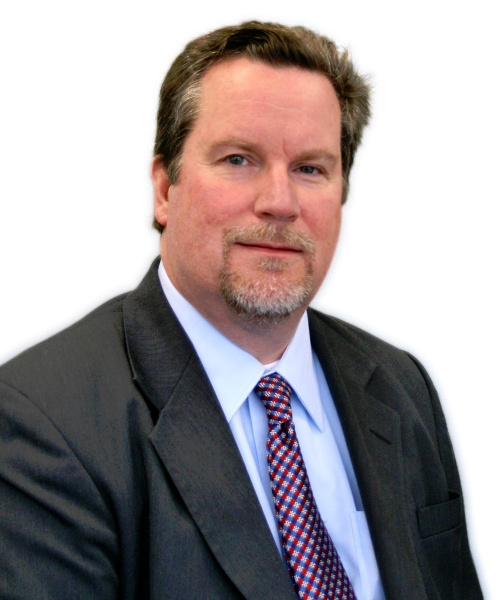 Loudon is one of the speakers at an upcoming America's Survival conference, "The Real Russia-gate Conspiracy of Barack Hussein Obama," scheduled for November 10 in Washington, D.C., noon to 5:00 pm, in the Zenger Room of the National Press Club. comcast.net, or call 443-964-8208; and visit www.usasurvival.org.